The areas could not be reached by a vehicle or rough vehicles biking have been arranged which on rough terrains. 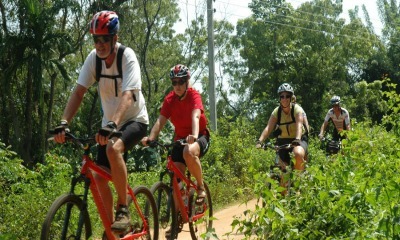 These cycling and mountain biking are mainly used in the flat land areas in between the paddy fields and tea estates where there is a very good environment with a cool breeze. In addition in the gravel roads in rural areas are also used for the above. Especially areas such as Knuckles' through the village folks, Wasgamuwa National park and Horton planes where the Aborigines (aadi waasi or the waddas') living.